Sake brings me right back to 2004 when I was 24 years old and played my most memorable EA Sports NHL franchise season ever. I took the Columbus Blue Jackets, made them even worse, played on the hardest setting, sucked hard for a big chunk of the season, barely made it into the playoffs, and won the Cup in seven games in each playoff series... all while drinking Gekkeikan Sake in a mug on the rocks. That's not how you think a history of Sake article would start, right? Hey. That's how I learned to appreciate Sake, and now I love it. Recently I had one that goes for $450 retail and it was INCREDIBLE. I just got a package from Tippsy, which is basically like a wine club dedicated to premium Sake, containing three Sakes that I'll be reviewing this coming Thursday. Even though Sake has the "rice wine" nickname due to its final product similarities with wine such as profile and alcohol percentages, technically it's a beer because it's brewed and made from grain, and in this case the grain is rice. Bud Light, which uses a significant amount of rice in its production, actually does have a slight Sake flavor. Sake runs deep in the culture of Japan and Japan runs deep in the culture of Sake. But it actually didn't originate there and it's certainly not staying there. 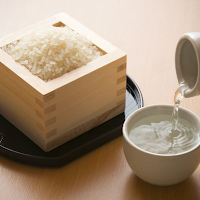 Sake began in China, the indigenous land of rice. And, in today's world, you might be surprised to buy a bottle of Sake that you assumed was Japanese until you flip the bottle over to find that it was actually made in Oregon. 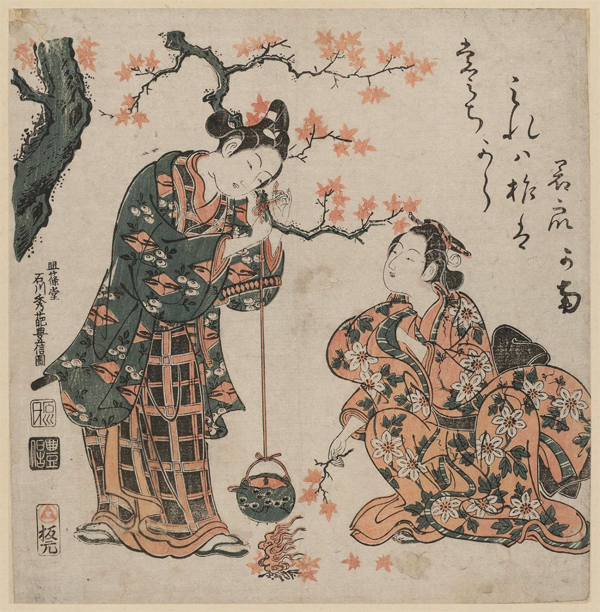 The earliest recorded mention of Sake is dated around 500 BCE by the Chinese, which is about the same time that rice made it over the water to Japan, but it's speculated that Sake actually originated around 2,500 BCE in the Yangtze River Valley of China. 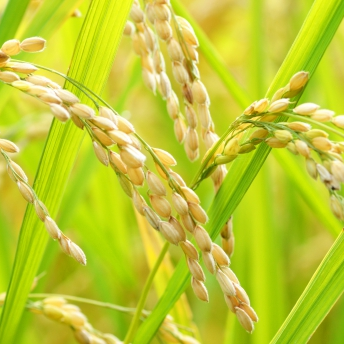 Rice was essential to life for these people and at some point it was discovered that it could be fermented, probably by neglecting it in certain conditions, and you could get drunk off of it too. Bonus! But once rice hit Japan, Sake got crazy. Villagers would chew up rice with nuts and grass and then spit it out into one big bowl. The most prized batches were chewed only by virgins. The enzymes would initiate fermentation and it would become a low alcohol ricemeal. This was the first official Sake, and they called it Kuchikami ("chew and spit"). It doesn't sound pleasant, but it was something. The communal chewing ended when it was discovered in the 700's CE that simply adding a fungus called koji to mushed up rice and water would ferment it and, I'm assuming, make a more enjoyable alcoholic slop. We homo sapiens are like that. If it's an abundant resource then we'll find a way to use it to get our buzz on and forget our worries, and then ingrain it into our cultures. 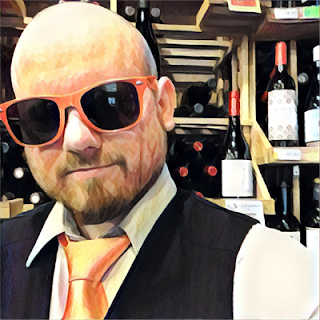 Rice in Japan for Sake, grapes in Italy for wine, agave in Mexico for Mezcal, corn in the United States for Bourbon, cough medicine in Hyannis, and the beat goes on. 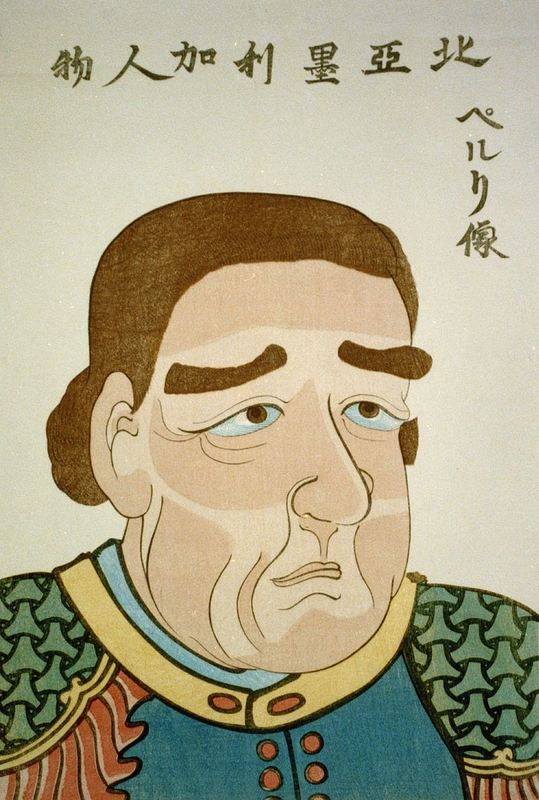 In the 2nd century CE the Imperial Court took over Sake for about 500 years or so under the observance of a special division called Sake-no-Tsukasa. They laid down the ground rules for making the Sake we know today and enforced them, kinda like the government does with beer and wine today, but it was also because they were ultimately the producer. Sake was a proud product of the Empire, and monopolized by it as well. Jumping ahead to the 10th century CE, it was mainly the monks that were producing and making the advancements in Sake, just like the beer and wine of the same era in Europe. The monks added their own standards on top of those from the past, and when it comes to alcohol the monks seem to always make the most important improvements. 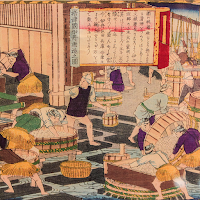 For example, it was during this time where it was discovered that the more you milled the rice closer to the core the better quality of the Sake, and also when Sake was first successfully filtered to result in a clear liquid. Sake-makers even beat Louis Pasteur to pasteurization. Japan had purposefully isolated themselves from the rest of the world for a very long time, and I honestly don't think anybody blames them for doing so. But then Matthew C. Perry rolled up in 1853 with the intent to open Japan's ports for American trade. Judging by his photos and other images, Matt just looks like he's been sad from then moment when he was born in 1794 to his death in 1858. Let's call him Eeyore. Eeyore was a Commodore in the Navy and commanded ships in the War of 1812 and Mexican-American War before we was assigned to open up Japan's ports by President Fillmore in 1852. On his first sweep past he put up flags on his ships that told the Japanese if they fought back they'd be destroyed. Eeyore fired blanks with his cannons to frighten them and later said it was just to celebrate America's Independence Day. Then he returned six months later with more ships, and after a month of negotiations the Convention of Kanagawa was signed. Once the deal was made, the Japanese saw just how far behind they were in a lot of things compared to the rest of the world. 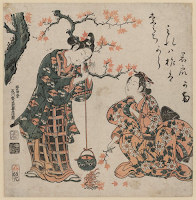 Today we think of Japan as the pinnacle of technological advancement and innovation, but back then they were way behind because they were so insistent on remaining with their traditions and old-school ways. Kinda like the Amish. Only a lot deadlier. The Amish don't have samurai. 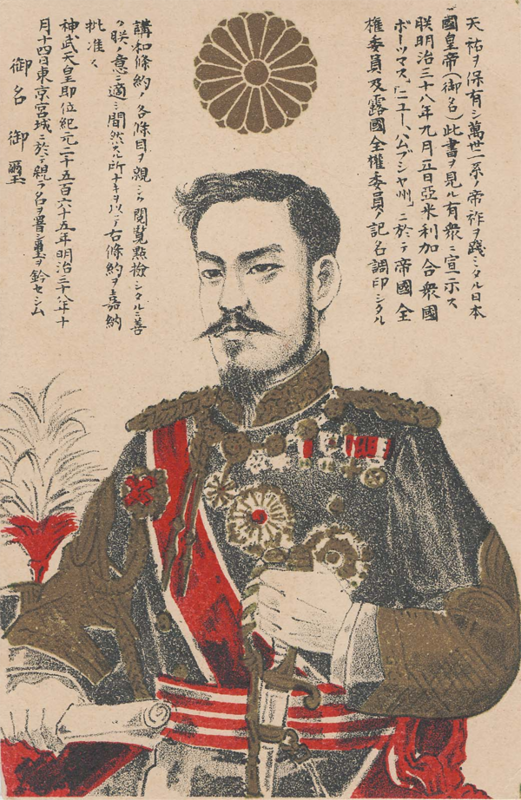 As a result of this realization the Meiji Restoration of 1868 brought back imperial rule. The intent was to have a nation that would have a driving force once again, under Emperor Meiji, leading them forward by embracing foreign technology while also respecting their cultural values and traditions. The whole world was now opened up to Japan, and what does Japan have to offer to the world? Well, one of the many unique things that it does offer is Sake. So new laws were made that permitted anybody who had the money and means to produce Sake to do so. A huge surge of 30,000 new Sake breweries opened up within a year. Buuuuut taxes cut that down by a third fairly quickly. For the longest time only the wealthy landowning rice growers could afford to produce Sake, and a lot of those brands are still around. 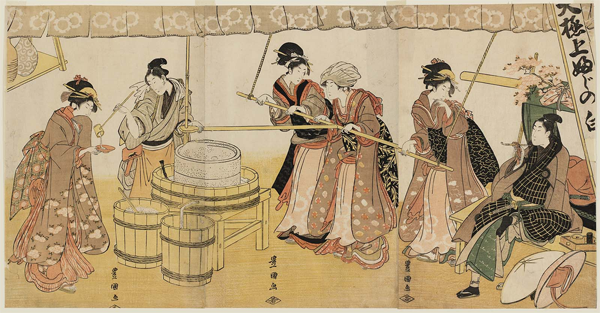 During the Edo period (1603-1868) they figured out how to add glucose to help ferment the sake and to just straight-up add alcohol. But it wasn't until World War II that these methods became common practice. 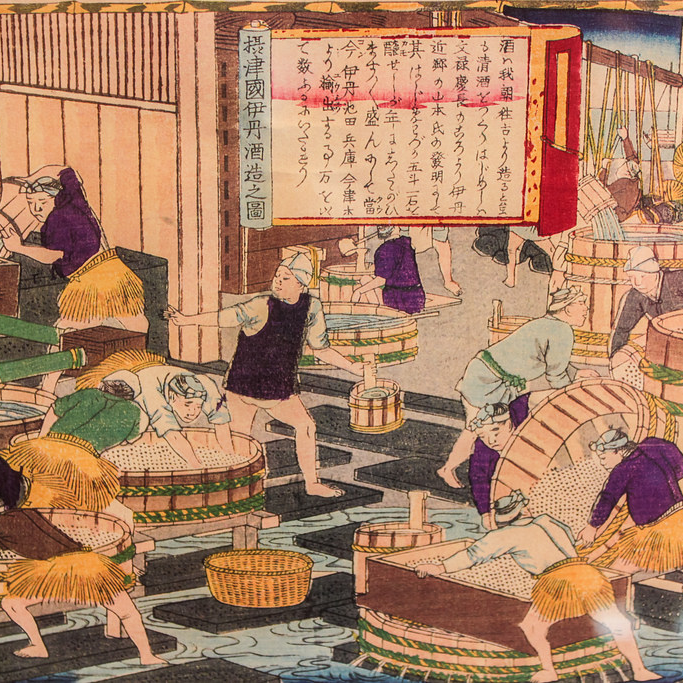 This was a rough time for Sake because the war effort needed rice for actual food, and these methods allowed Sake to still be made and increased yields four-fold. 75% of the Sake produced today still use those methods, but we're talking about the Barefoots and Stone Cellars of the Sake world. The combination of 2,500 years of experience and knowledge, the wisdom and respect for tradition, and the innovation and capabilities of modern day technology has made the quality of fine Sake better right now than it's ever been. What's out there right now is insanely amazing. I really wanted to get down into the nitty gritty of Sake making, from the different rices involved, different processes of production, and forms of Sake, but I ran in to some unfortunate unexpected occurrences that downsized the time I had to research and write this article than I am comfortable and accustomed to. So I need to break this down into two parts to tackle the last part on another day. Let's get one thing out of the way first. Sake should be served chilled neat or on the rocks. Hot and warmed Sake is a trick to make the cheap house Sake taste better. If it's warmed up, then GENERALLY it's not of the best quality. If it's cooled down, it's legit. So what makes the more expensive Sake higher quality than the less expensive ones? Well, there's the quality of the brewing team because that is a very precise responsibility, but also the rice itself. Just like grapes, there's different kinds of rice. But more importantly, the more you mill the rice grains to get to its center the better quality Sake you'll make. There's more starch in the center of the rice grain and more fats and proteins on the outer parts of the grain. So the more work that's put in then the more focus on what you actually want comes out, and you end up with some serious quality Sake. After the milling, the team of Sake brewing experts that make Sake are the Kurabito and they are lead by the ultimate person in charge of its production and quality, the Toji. They propagate spores of the aforementioned fungus called koji onto the rice and let it sit for three days. Then they dump the rice into water and yeast, and start brewing. This is called the moromi and they keep adding rice and water every day until the fourth day, and then they just let it sit. Rather than using different steps to convert starch to sugar and then sugar to alcohol, it's happening all together here. And the top of the vat looks like a giant pork rind. When it's reached the desired ABV then fermentation is complete, the milky liquid is gathered into cloth bags, filtered (but not always filtered), and bottled. Exact timing, within minutes, on all of these steps is extremely important and why a Kurabito team and a Toji are so valued. Sake is an amazing product that I have learned to grow more and more fond of, and I hope you take the time to appreciate it as well. Stay tuned for my review of Tippsy and Part 2: Making Sake.